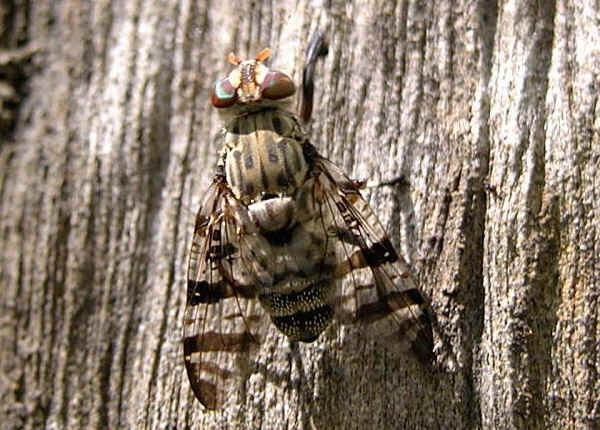 This page contains pictures and information about Brown-banded Signal Flies that we found in the Brisbane area, Queensland, Australia. 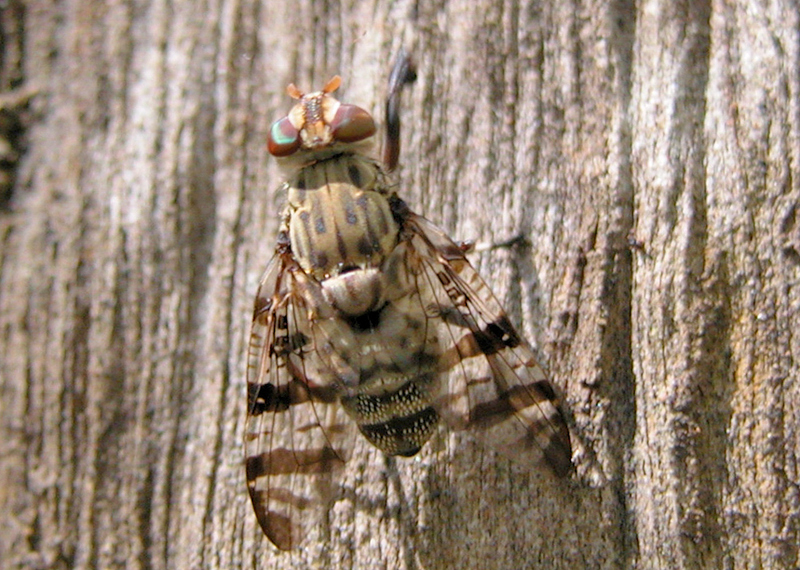 The fly is pale brown in colour with brown banded patterns on wings and abdomen. 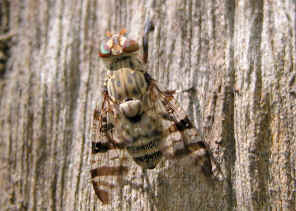 Eyes and all legs are Brown as well. Picture is taken in Alexandra Hill, mid summer 2004. 2. 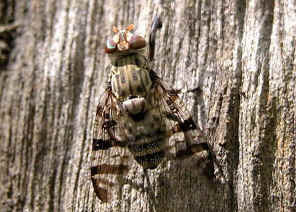 The Australian Platystomatidae (Diptera, Schizophora) with a revision of five genera - McAlpine, D.K., 1972, The Australian Museum, p177. Last updated: December 24, 2010.